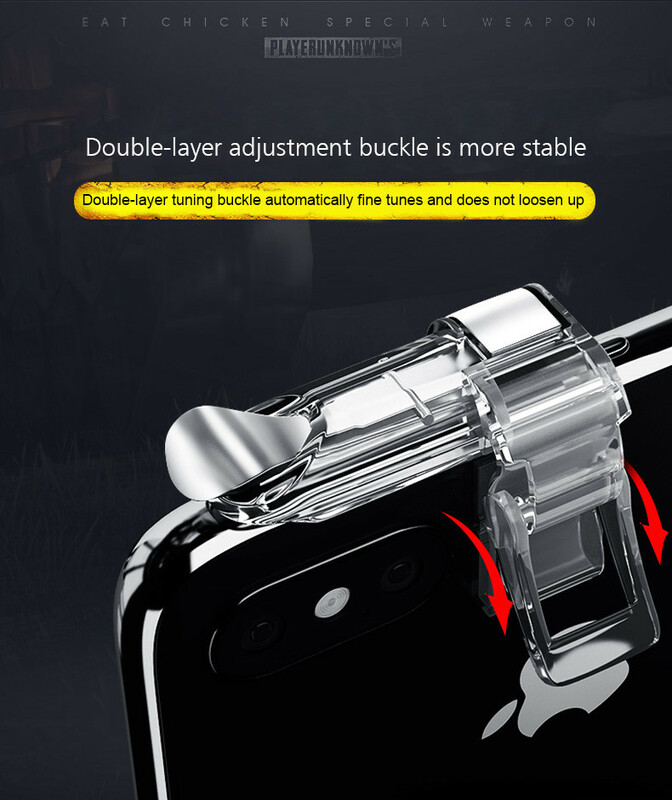 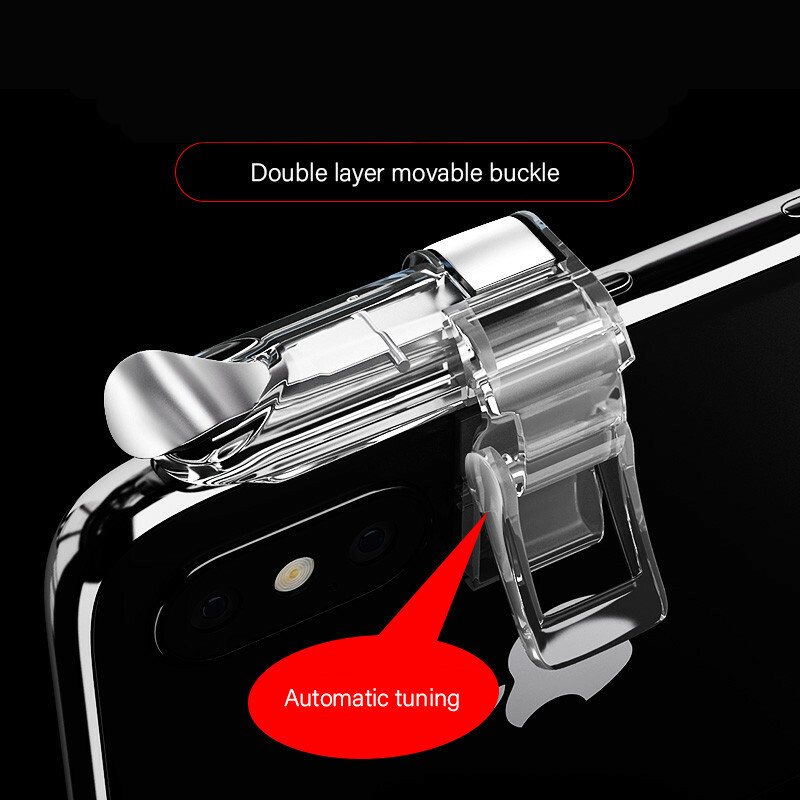 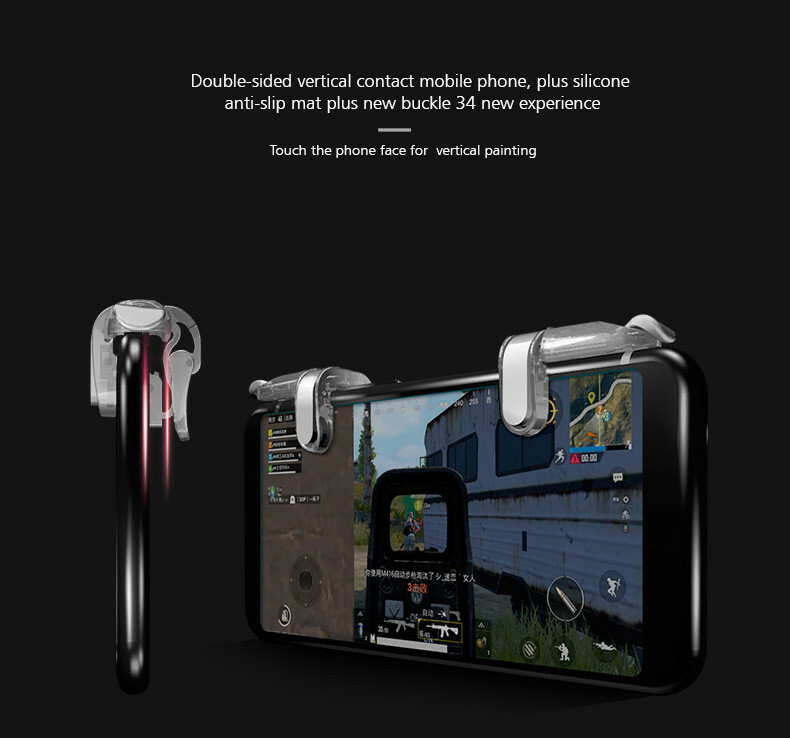 Latest Designed Mobile Gamming Trigger (2018 Newest Version). 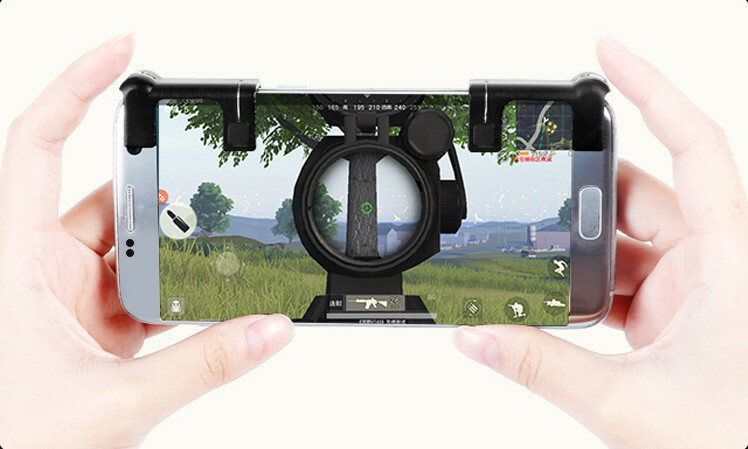 You can aim and shoot all at the same time! 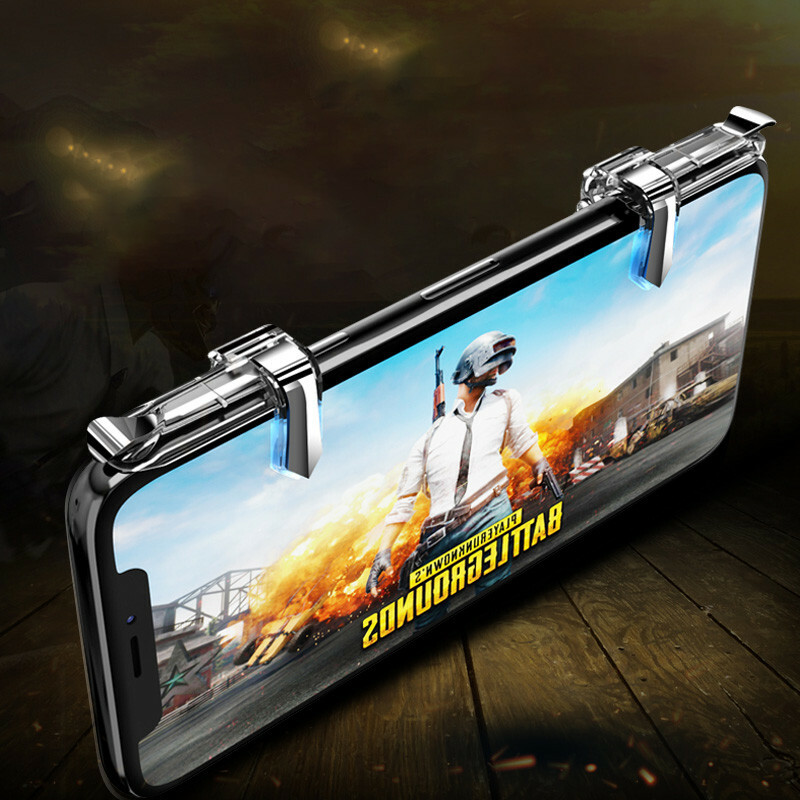 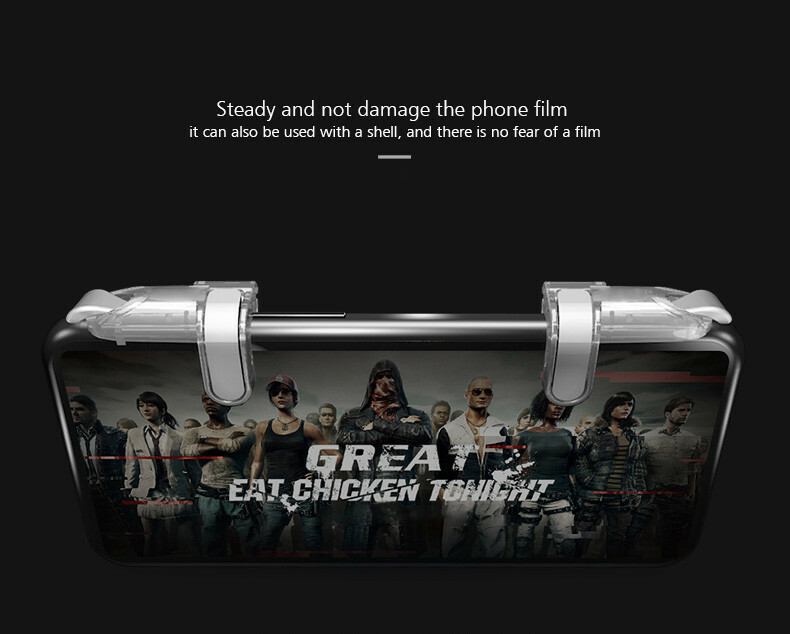 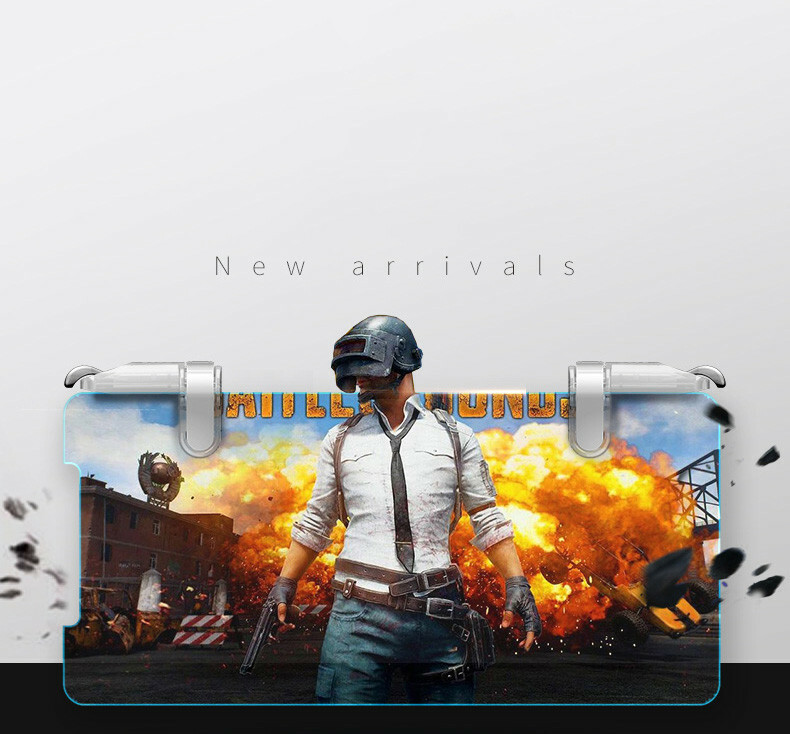 Designed for games PUBG, Knives Out, Rules of Survival, Survivor Royale, Critical Ops etc. 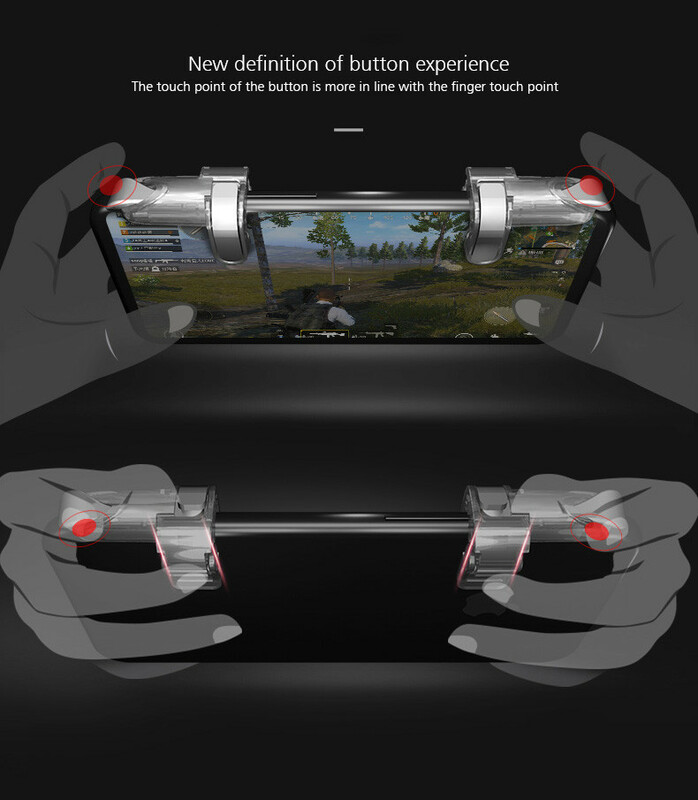 Uses lesser screen area that does not interrupt the gaming experience. 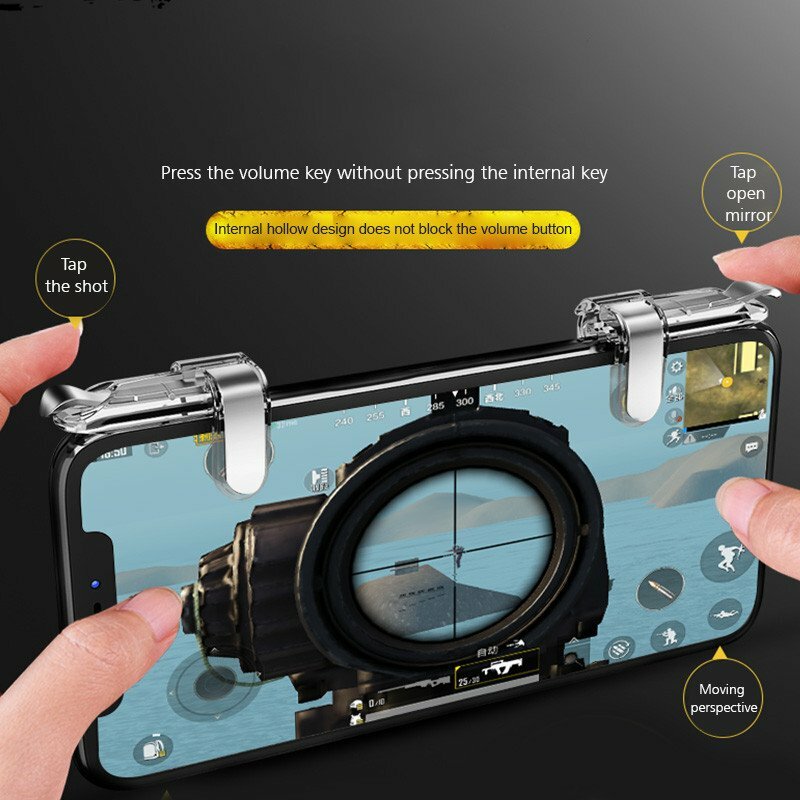 Metal touch button! 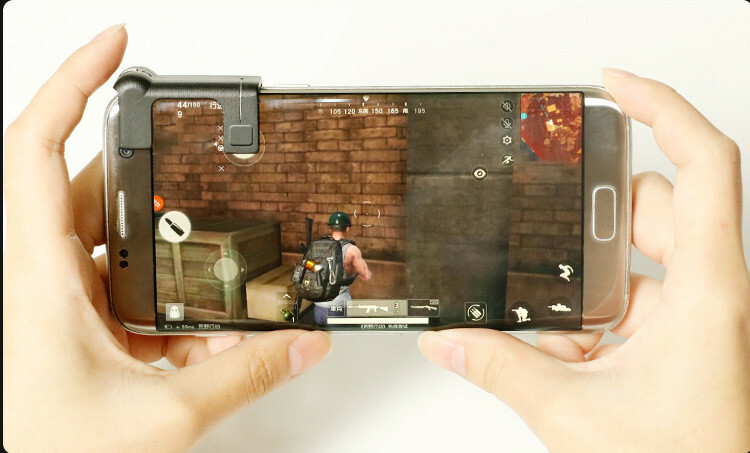 Transparent design! 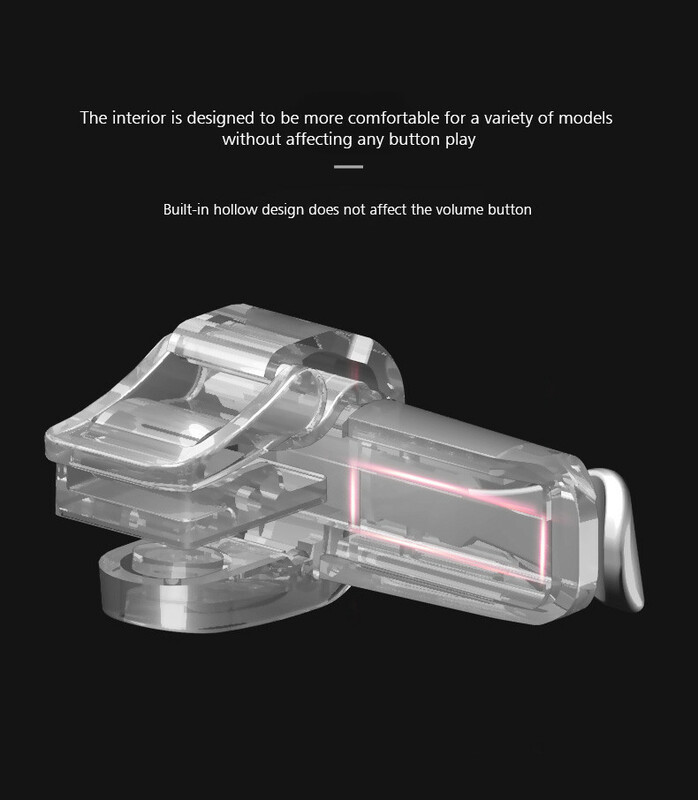 Press the volume key without bothering about internal key. 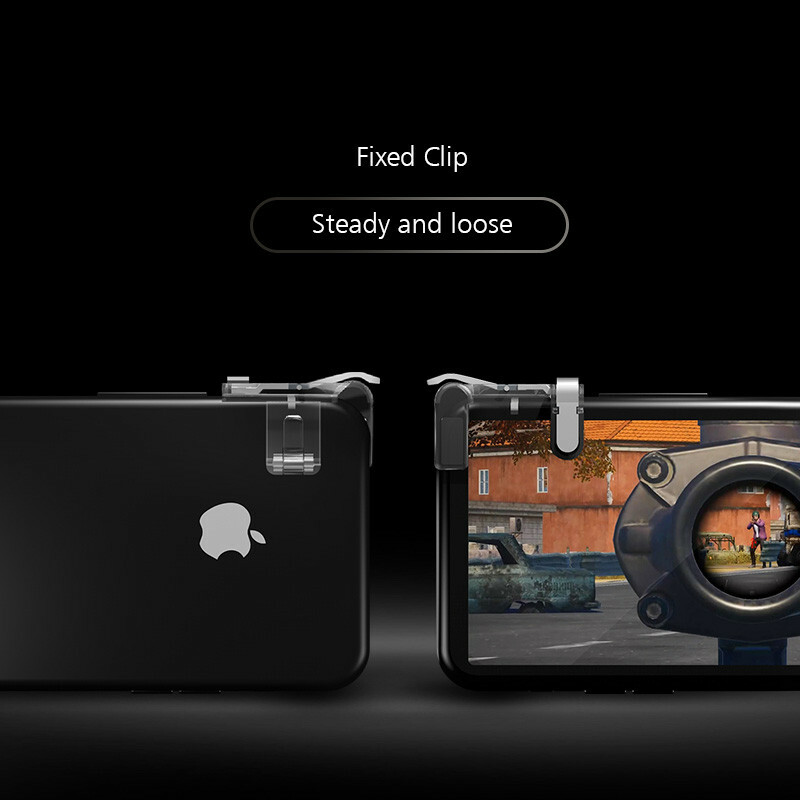 Latest Design allows you a damage proof experience. 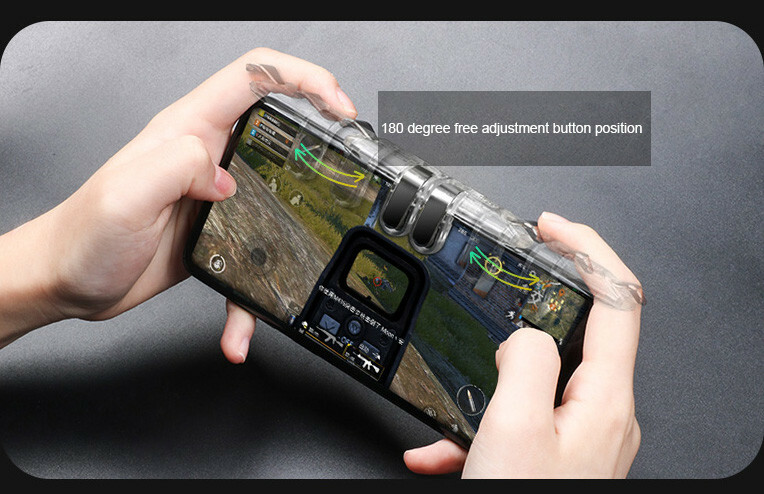 Case one button is equal to 10 bullets. 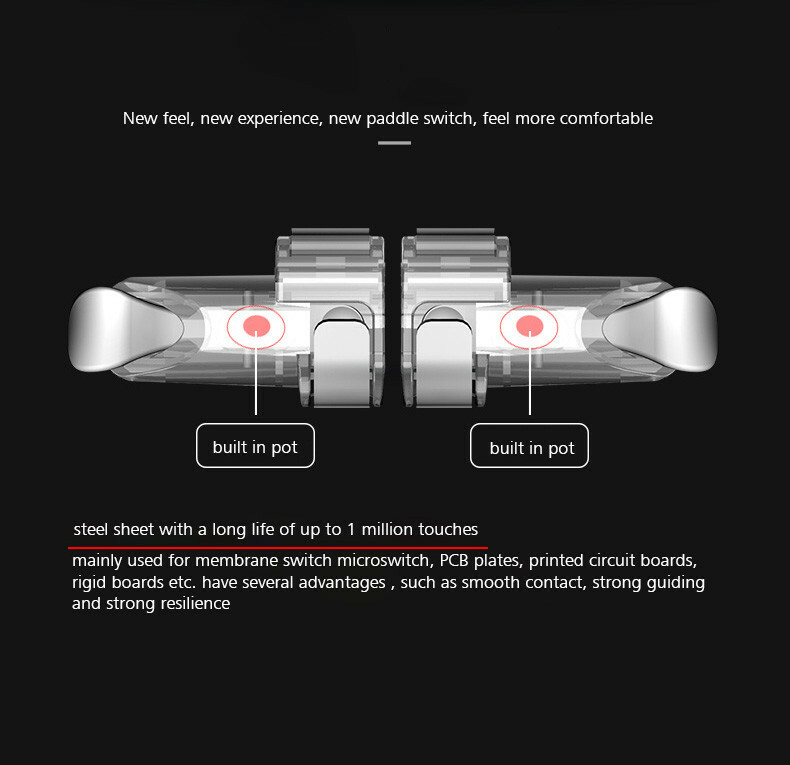 Built in pot spring gives the back a soft feel. 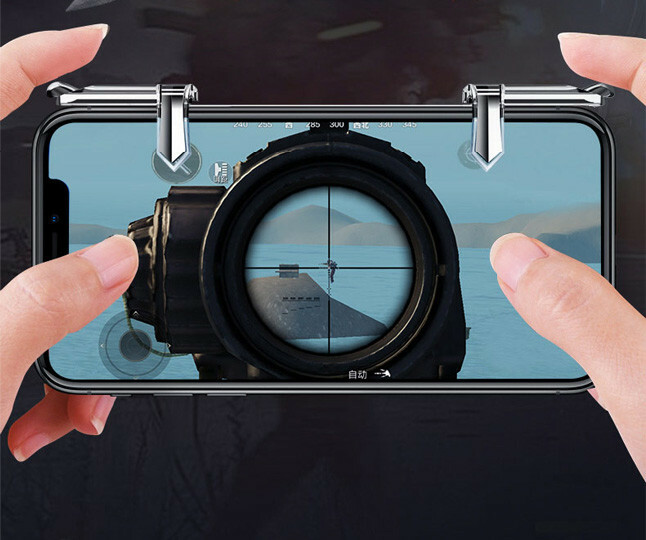 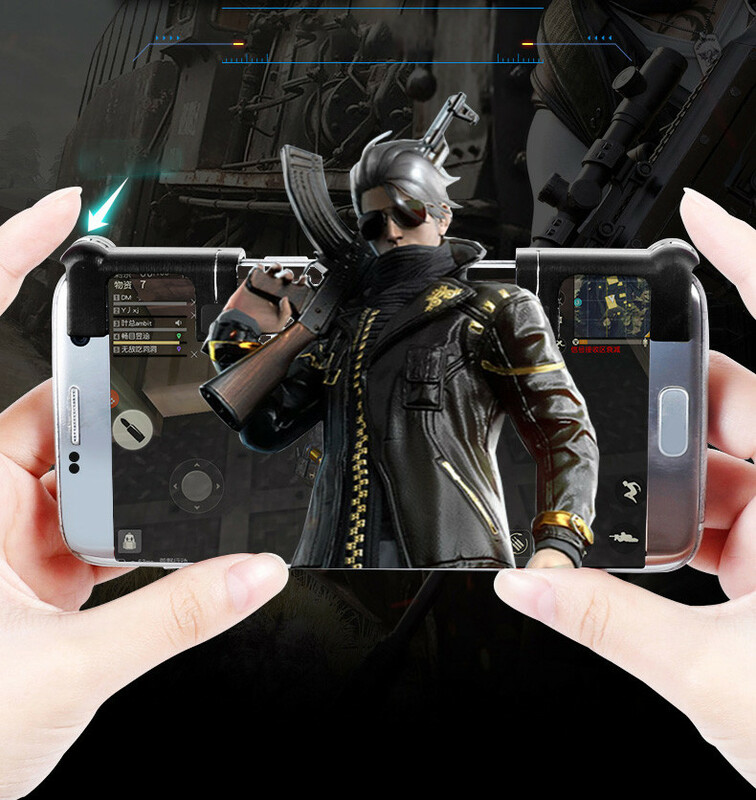 It works well on all kinds of shooting survival games like PUBG, Knives Out, Rules of Survival, Fortnite, Survivor Royale and Critical Ops on Android and IOS smartphones. 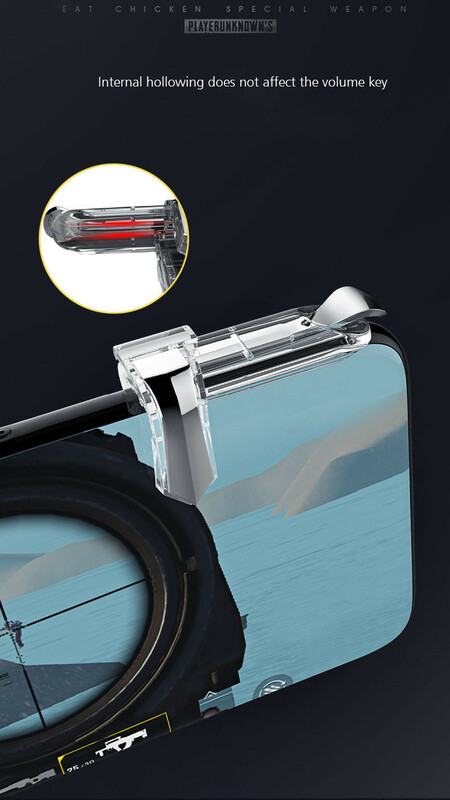 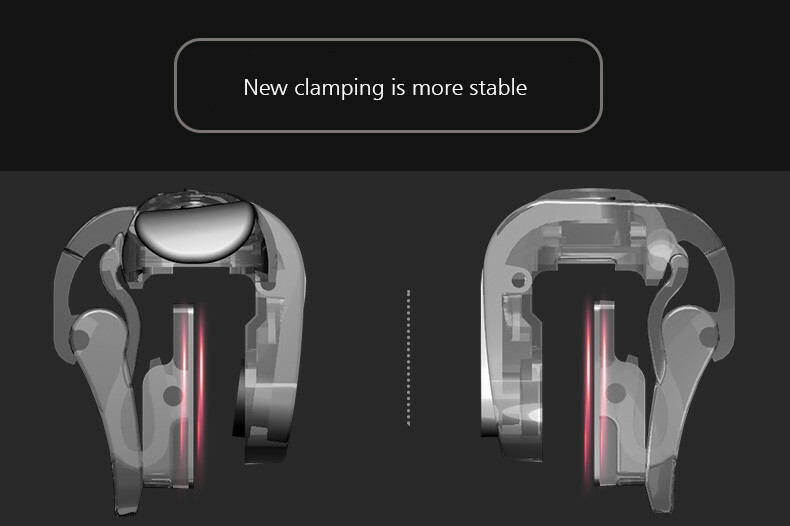 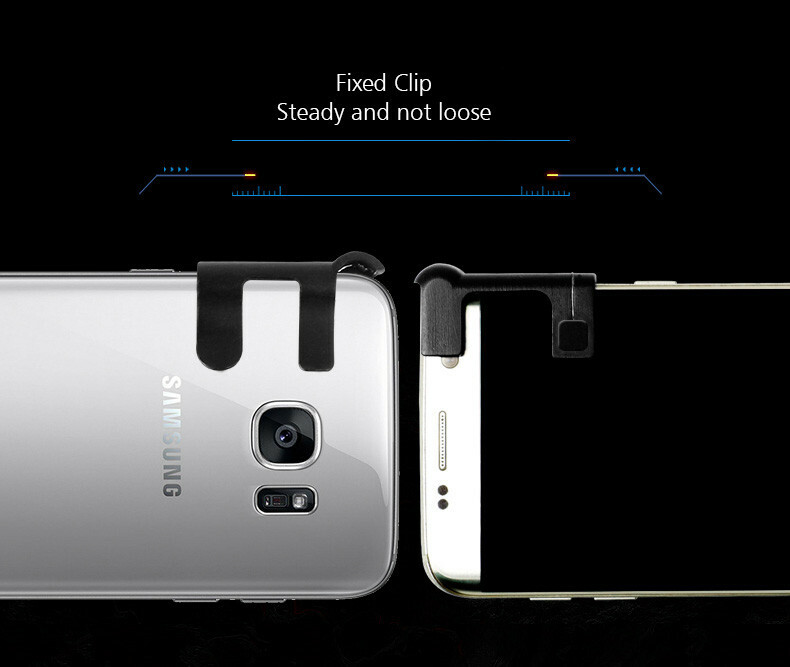 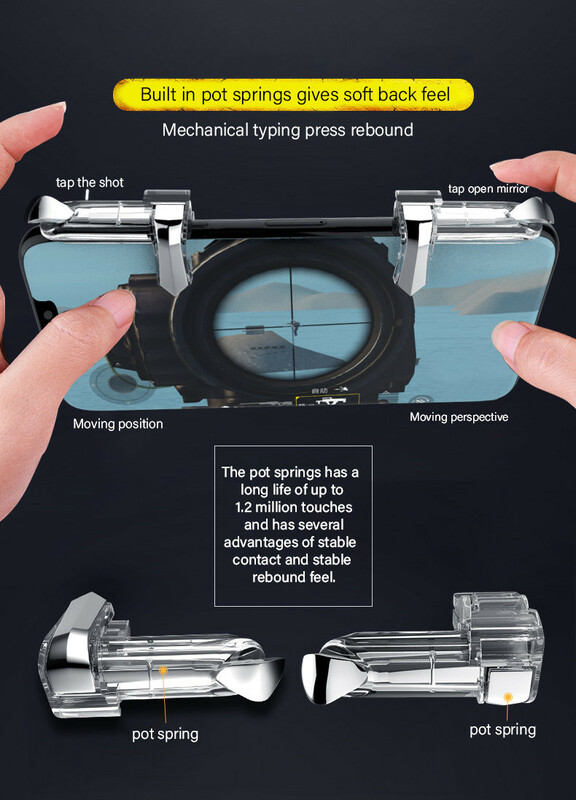 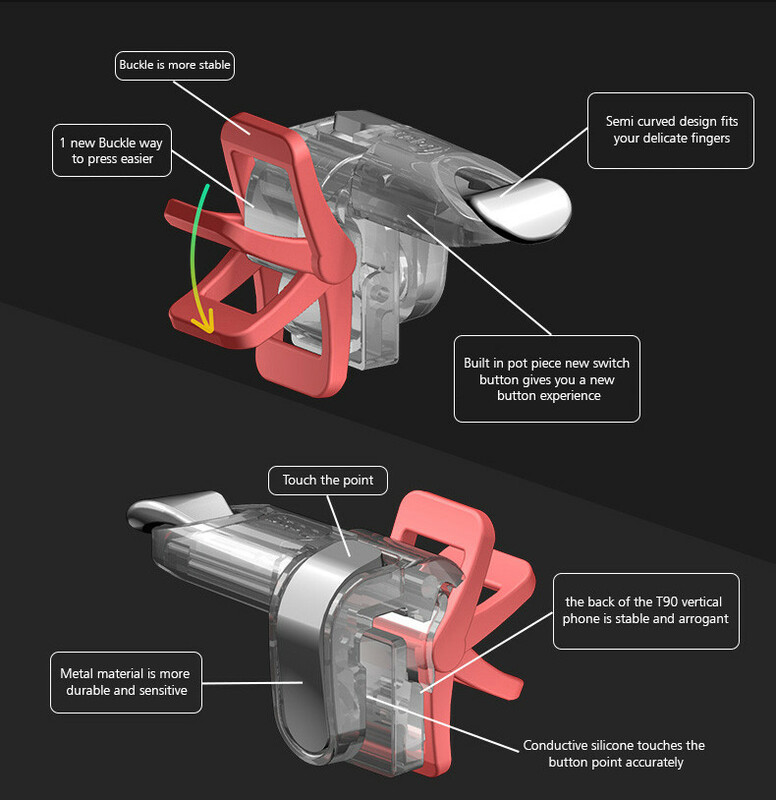 The key is designed in the back of the mobile phone, close to the finger, long press doesn’t tired you. 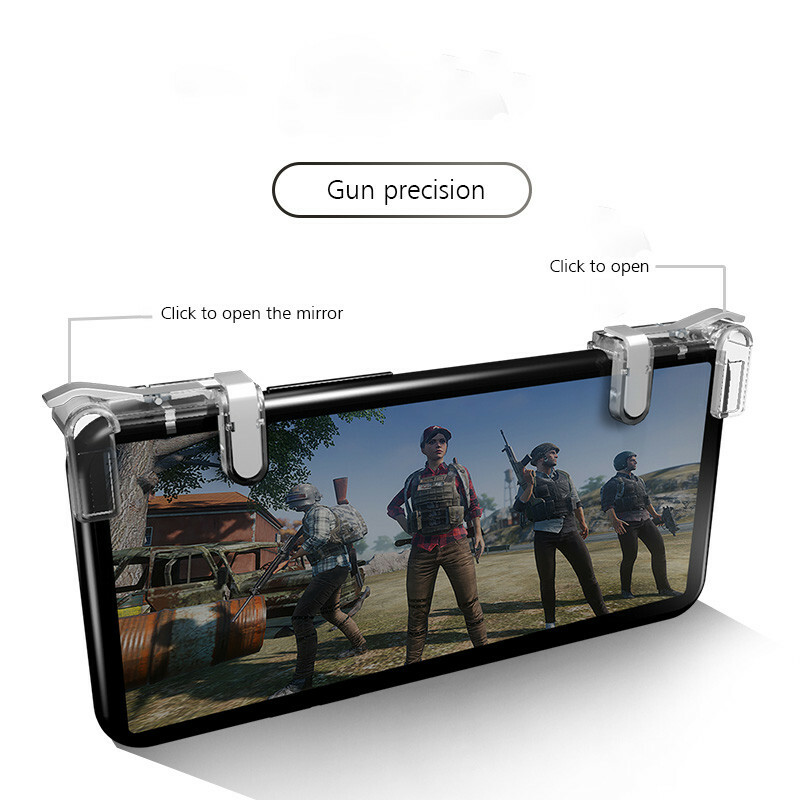 Lightweight and tiny for you to carry with and play games anywhere and anytime. 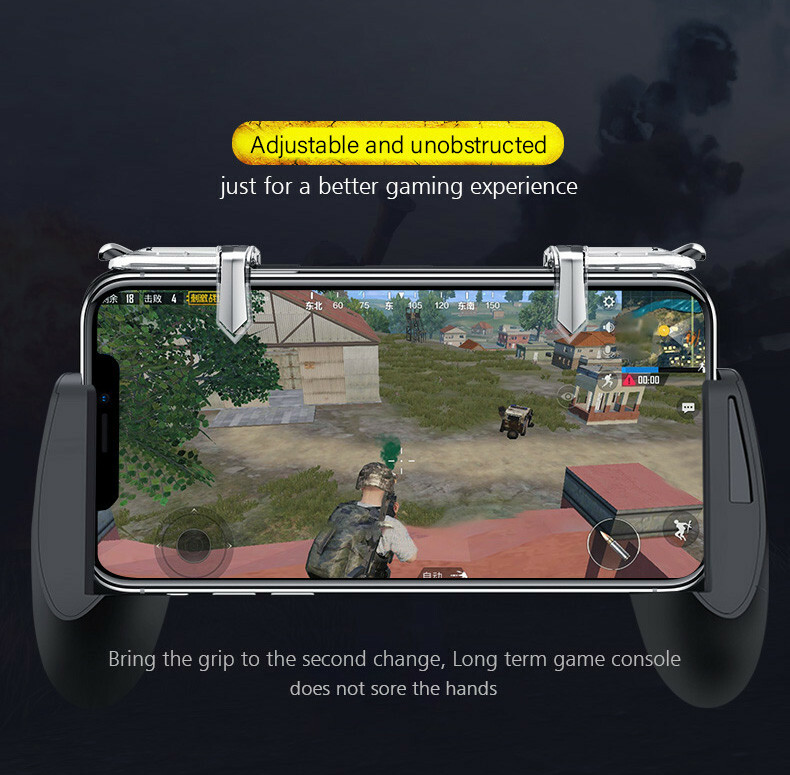 There is a hole on the right gamepad for you to charge your phone while playing games. 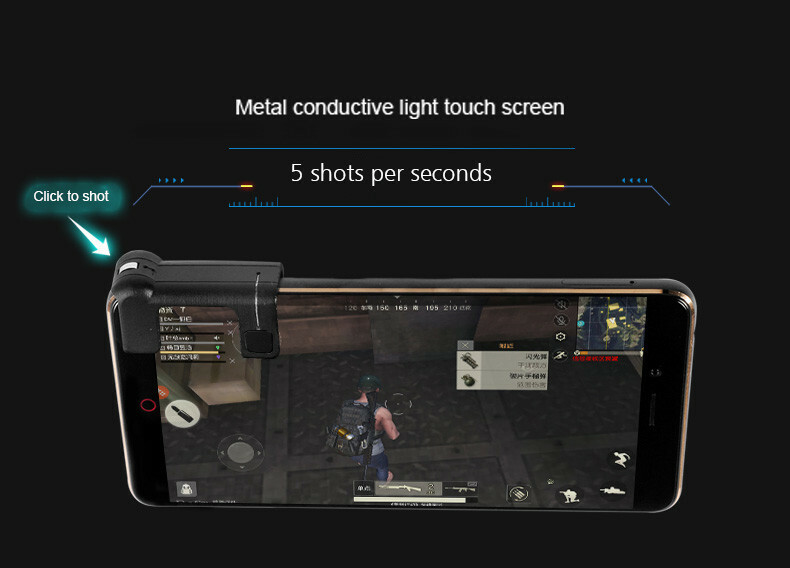 Don't need to worry about your phone will be out of battery. 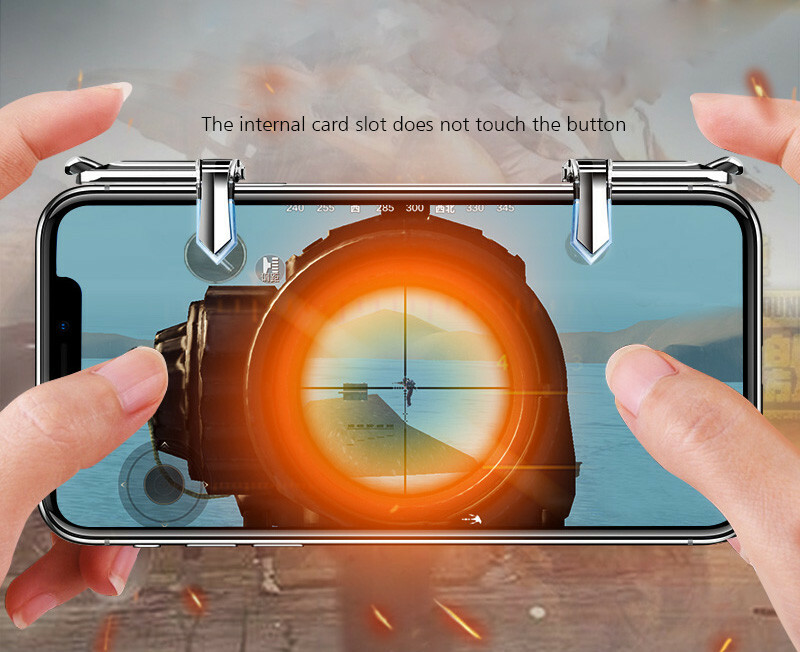 Metal touch button! 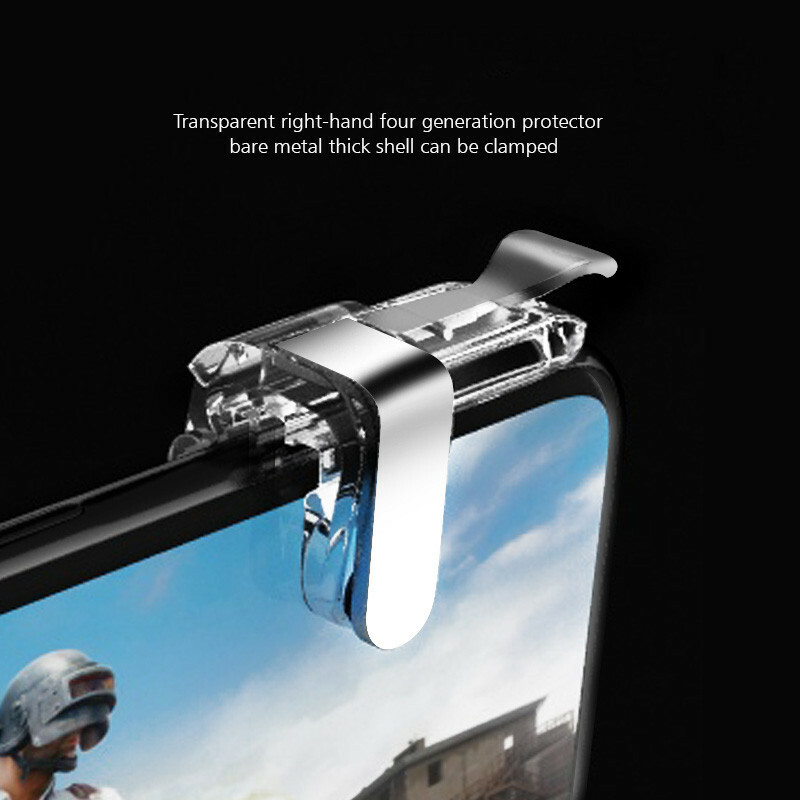 Transparent design! 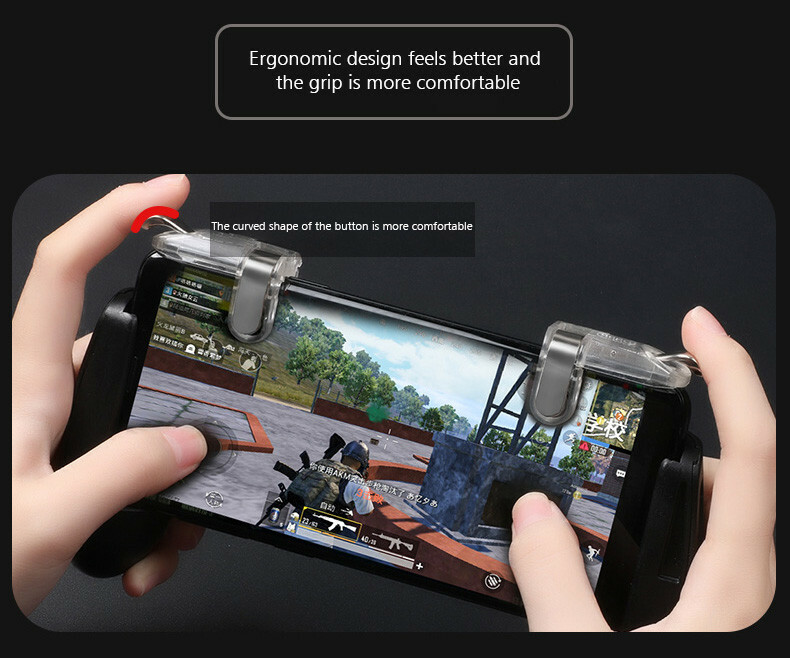 It will surely bring you better gaming experience!!! 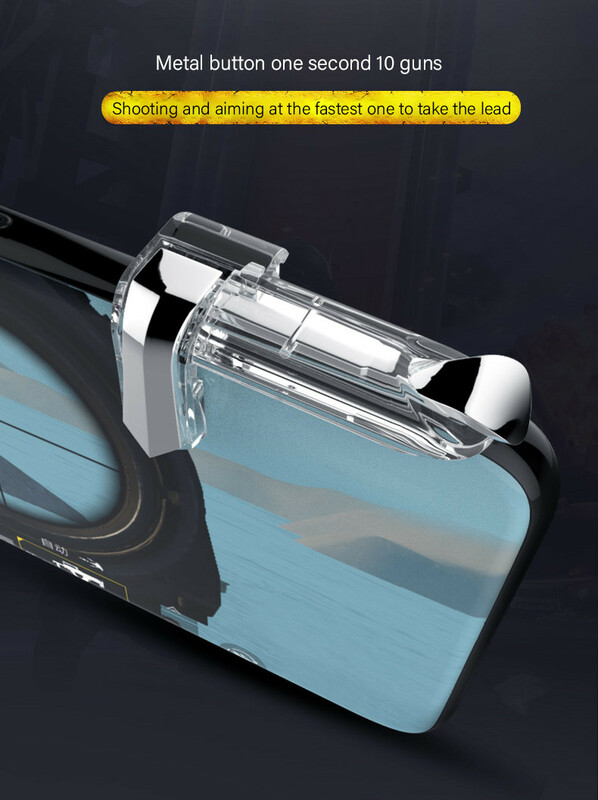 No Power supply and driver needed, easy to use and high precision, increase your gaming experience. 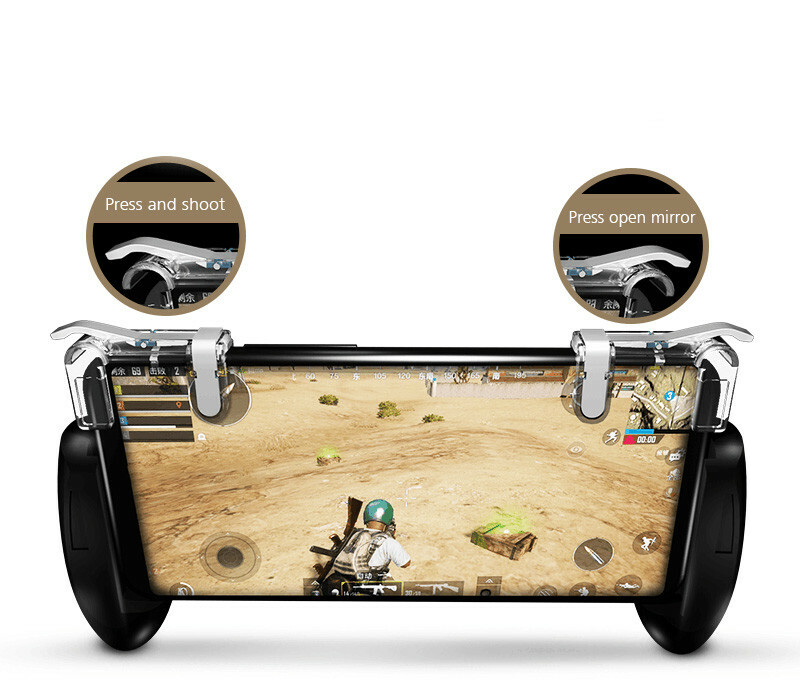 Mobile gaming trigger will take your gaming skills to the next level, simulating a game controller experience. 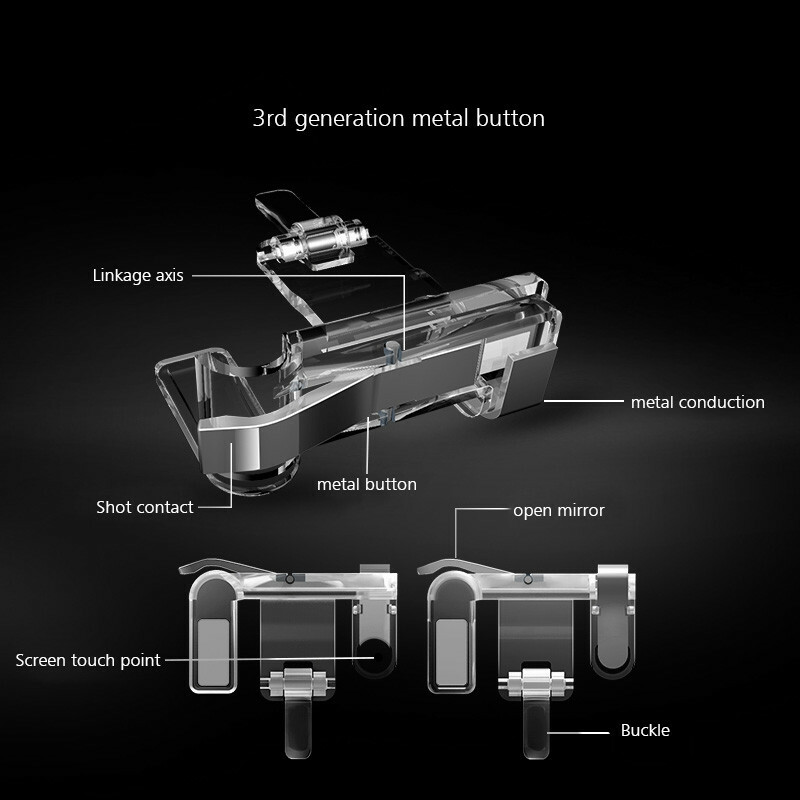 OnePlus 2/3, Nokia N1, HTC 10 and more. 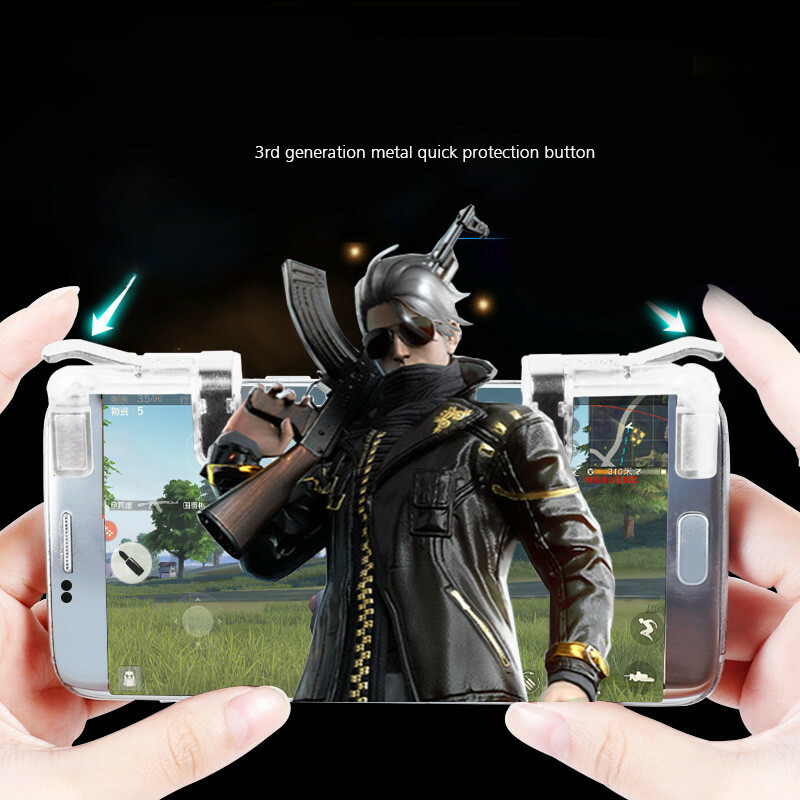 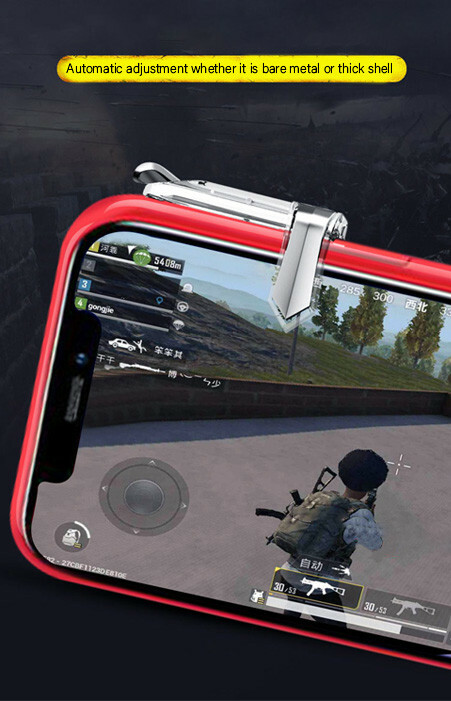 Perfectly compatible for shooting games including PUBG, Rules of Survival, Fortnite, Knives Out, Survivor Royale, Critical Ops, etc.